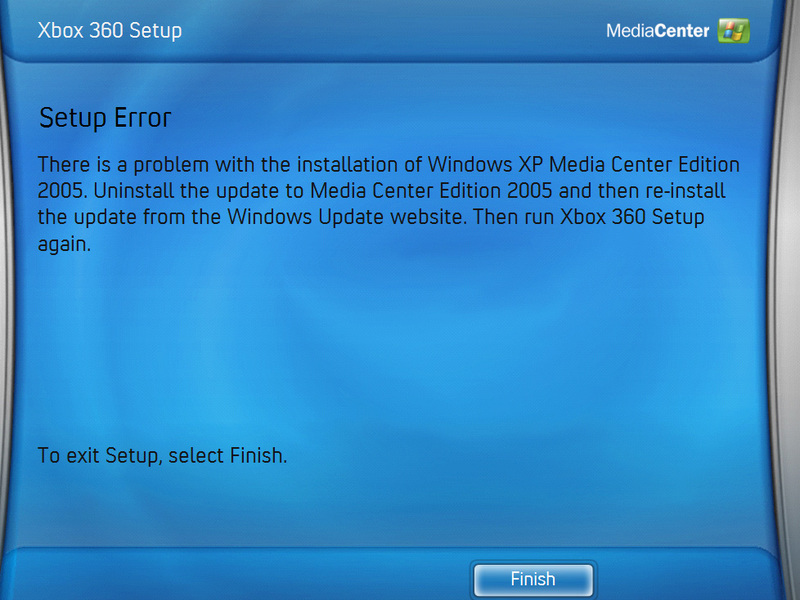 For Windows XP Media Center 2005 with Update Rollup 2 configurations that use an analog TV broadcast, this update improves the experience of recording television shows. Previously, some shows may have been blocked, and you may have received "protected content" error messages. This update replaces "Update to address "protected content" error messages in Windows XP Media Center Edition 2005 (KB954086)" which I had previously blogged about here. 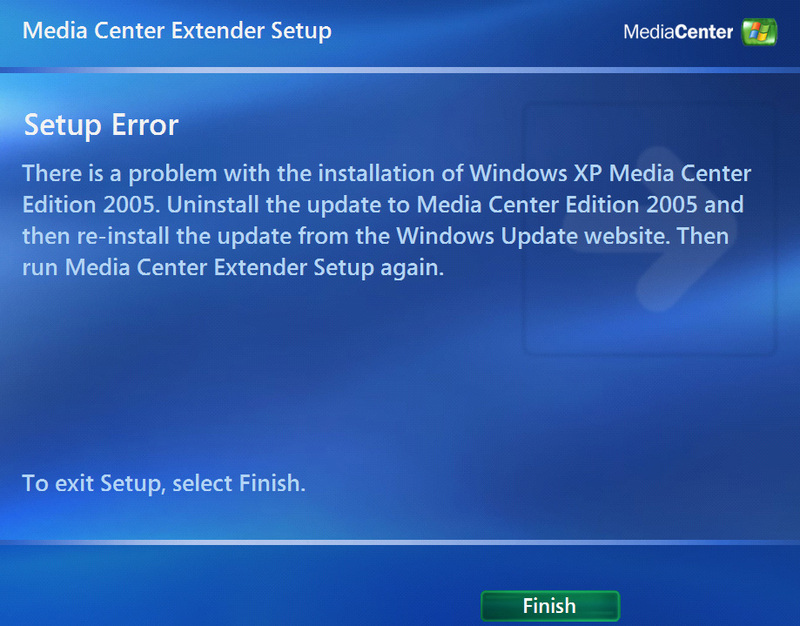 Download the Update for Windows XP Media Center Edition 2005 (KB956148) package package now. Visit the Change.gov - Apply website. With the release of a build of Windows 7 build at Microsoft's Professional Development Conference (PDC), there are many new features of Media Center that are finally being unveiled for the first time. An updated Windows Media Center platform focusing primarily on small, targeted improvements to the Windows Media Center Presentation Layer and additions to the managed code object model to make all applications (with greater emphasis on the web paradigm) a first class citizen in Windows Media Center and help them act and feel more like locally installed applications in terms of perceived performance. Of course, feel free to visit Charlie's blog entries for more details and screenshots. In addition to adding support for new products that have come out, it seems to also fix the flickering issue that some people have reported in a previous blog posting of mine. Alternatively, download and merge the 'fixwmerror-method1 - wmintegrationdisabled.reg' from the zipped registry key files to make the above mentioned change. To re-enable Messenger integration, merge the 'fixwmerror-method1 - wmintegrationenabled.reg' file instead. Note that this fix is 'per-user' so you have to apply it for every user that is affected. Create a new key called 'ehshell.exe' if it doesn't already exist. Alternatively, download and merge the following zipped registry key file to make the above mentioned change. Note that this fix is a global fix, so it affects all users on your computer system. I believe the second fix is more comprenhensive, so that's the fix I'd recommend as you can continue to use Windows Messenger post-security updates. I've heard reports that the new update removes the UI choice as to whether or not to enable Messenger functionality, so if you want to turn on/off Messenger functionality in Media Center, you can also use that method. I had the 5.1 version of Windows Messenger installed before the security update was installed, and I still have the Messenger UI choice within Media Center. It seems (though I'll need others to confirm) that those using the older 4.7 variants of Windows Messenger have lost the UI choice within Media Center. I'd be interested to know if anyone lost the UI to enable/disable Messenger functionality within Media Center would regain it upon installing the latest version of Windows Messenger (5.1.0715). To obtain the latest version of Windows Messenger, see the following kb article, How to obtain the latest version of Windows Messenger 5.1 (KB899283). For those who want to see a Toronto Blue Jays baseball game, here's a chance for you to get four free tickets for home games between September 2 to 7, 2008. The tickets that are available are 200 Level Bases or 200 Level Outfield. There is a limit of one order per household, while supplies last. On July 16th, 2008, Microsoft released an update to the version of Windows Media Center included with Windows Vista Home Premium and Windows Vista Ultimate to our OEM partners - this update is referred to as the “Windows® Media Center TV Pack”. In order to ensure that users get the best experience possible, this update will only be available from OEMs, as they are best positioned to provide the testing and hardware configurations for a great customer experience. This is due to the fact that in some geographies there are specific technical and hardware requirements for the Windows Media Center TV Pack that are best handled by the OEMs. We are working closely with our OEM partners as they finalize their decisions on Windows Media Center TV Pack products. Interactive television with integrated Broadcast Markup Language (BML) in Japan and Multimedia and Hypermedia information coding Expert Group (MHEG) (MHEG5) in Europe. This version does not include native support for subscription-based satellite tuners or the H.264 video standard. We test many features in beta releases, and optimize our feature set in the final code for the best user experience. We do want the Windows Media Center community to know that Microsoft will continue to improve upon the Windows Media Center experience for our customers worldwide, by adding content partnerships and enhanced features. We will share these developments as they become available. So I've been away from Toronto since last Friday. I've finally taken some time off work to head down to the Microsoft MVP Summit [see MVP Summit 2008 press release] down in Seattle. However, since I was going to be on the west coast, I decided to visit three other cities in the immediate area, that being Vancouver, Victoria and Portland. Vancouver and Victoria are two cities in British Columbia. I got to see a couple of friends, Andy Devlin, a former schoolmate (and even a student of mine), and Karen Penate, an elementary schoolmate whom I actually haven't seen for almost 18 years. It was great to see both of them, as well as having a chance to quickly tour around both cities. Thanks to the two of them for their hospitality. This is the third time I've been to Seattle, but the first time that I've actually taken the time to tour around the city. The MVP Summit has been great. We got to see a lot about the future direction of Media Center, the product in which I have been awarded as a Microsoft Most Valuable Professional (MVP). When the time is right, I will blog about those items in further depth. Thank you, Microsoft, for bringing everyone together. It was great to meet the product team on the Microsoft side, and it was also great to see the other Media Center MVPs that could make it (Corey Gouker, Jesse Lin, Mike Garcen, Peter Stagman, Andrew Cherry, Richard Miller, Dana Cline and Barb Bowman [I don't count my brother, only because I see him everyday lol]). It was too bad some of the other Media Center MVPs could not make it (Chris Lanier, Ian Dixon, Brian Socha, Nigel Barker, Peter Near, Doug Knox, Anthony Park, Niall Ginsbourg, and Michael Hancock). Perhaps next time! Tomorrow, I head out to Portland before returning home to Toronto on Saturday night. I'm looking forward to seeing the effects of land use planning and transportation planning in this city (the planning geek in me comes out, after the computing geek in me had its fun). It has been an amazing trip been an amazing trip (aside from my laptop deciding to break down 2 days into the trip), and I wish I had more time to really experience each of these cities to its fullest. That will be for the future! Here's an interesting article in this month's Toronto Life. The article, titled Toronto's Traffic Time Bomb, features an interview with Rob MacIsaac, the chair of Metrolinx, the regional transportation authority created in 2006 by Queen’s Park. The article paints a picture of the dire straits of Toronto's current traffic situation and presents a some suggestions for potential improvements. The most extreme idea is to road-price everything, including implementing a parking tax, while a more moderate suggestion would be allow single-occupancy vechiles to use high-occupancy vehicle (HOV) lanes for a fee. The vehicle to implementing this pricing system would be via a wireless satellite monitoring system. This wireless satellite monitor system has been developed by a Toronto company called Skymeter Corporation. This system makes it possible to record a vehicle’s every move, including its parking times and locations, making both toll booths and parking meters obsolete. Every car would have to be fitted with a transponder. If this system is implemented, it has the potential to be infinitely tweakable for every conceivable detail. In terms of road pricing, different roads can be charged at different rates, and rates can vary by time of day. Fuel-efficient cars could be charged a lower rate than gas guzzlers. From a parking standpoint, with the constant monitoring of the location of cars, a parking tax could be implemented. Rather than pricing a trip, the tax would be implemented on the parking location, as people will be less inclined to drive somewhere they can not afford to park. A parking tax is easier to administer, and Skymeter claims it has the potential to generate more revenue than road pricing ever will. David Miller, the mayor of the City of Toronto, is also mentioned in this article, and brings forward the idea of putting a road charge on the express lanes of the 401, something I had discussed last year in the blog posting ''More HOV lanes planned' Response'. Either way, no matter what happens, it willl be interesting to see what ideas are brought forward and ultimately, what solutions are implemented to solve these traffic issues, both within the City of Toronto, and on a broader Greater Toronto Area scale. It is not too late to sign up for these events if you are interested. For more information, please visit the above links. Finance Minister Carole Taylor introduced an escalating carbon tax on most fossil fuels today, one she says is designed to ignite an environmental social movement in British Columbia and across Canada to fight climate change. She also announced that every British Columbian will get $100 in June as seed money to get them thinking green. Taylor said the carbon tax is one of the government's key building blocks to help it reach its legislated goal of reducing British Columbia's greenhouse gas emissions by 33 per cent by 2020. The carbon tax , effective July 1, will be phased in over five years to give consumers and businesses time to adjust to the new tax and understand there is a cost associated with generating harmful greenhouse gases, she said. Taylor said the carbon tax will be revenue neutral, meaning the government will not use money generated from the tax to fill its coffers. The carbon tax revenue, estimated to hit $1.8 billion over three years, will be returned to taxpayers through personal income tax and business tax cuts, she said. The tax incentives aimed at keeping the carbon tax "revenue neutral" will be dispersed as follows: the bottom two personal income tax rates will be cut by two per cent in 2008 and five per cent in 2009 on the first $70,000 in earnings; effective July 1, the corporate tax rate will drop to 11 per cent from 12 per cent; effective July 1, the small-business tax rate will be cut from 4.5 per cent to 3.5 per cent. The government will introduce legislation that requires it to table an annual plan that shows how the carbon tax revenue will be returned to taxpayers, Taylor said. For more details, see the following article "B.C. introduces carbon tax"
Found about Ted Tyndorf's passing from Shima's blog. I recall meeting him briefly prior to our inaugural Committee of Adjustment members meeting for our 2007-2010 term back in April. My condolences go out to his family. Described by Mayor David Miller as the "perfect example of the professional public servant," Toronto chief planner Ted Tyndorf led the country's largest municipal planning staff with a passion for city-building that colleagues say never faltered. Early Saturday, Tyndorf died, losing his battle with cancer. He was 54. "He was a very honest man -- he had integrity," his wife Christine Tyndorf said yesterday. "What he thought should be done for the city, he always fought for. " "He had an understanding of what Toronto should be." Miller yesterday issued a statement of condolence to Tyndorf's family, friends and colleagues. "As Toronto's chief planner, he was committed to our city and his passion for its future never waned," Miller said. Tyndorf was appointed Chief Planner of Toronto in November of 2004. He began his career in 1977 with the former City of Etobicoke after graduating from Ryerson with a Bachelor of Applied Arts in Urban Planning. From 1986 to 1991, Tyndorf worked in the private sector, returning to the City of Etobicoke as the Director of Development, Design and Administrative Services. His professionalism and friendly, outgoing personality has been a hallmark in City Planning ever since. Tyndorf led the largest, and most diverse, City Planning operation in the country. From architecture and urban design, to heritage preservation, to transportation planning, to land use and community planning, Tyndorf's 300-plus staff are some of the most talented professionals in Canada. Under his leadership, they worked diligently - and continue to - for the people of Toronto, implementing the City's ambitious Official Plan, and on a myriad of other planning issues the City manages everyday. Visitation for Tyndorf takes place at Turner and Porter Yorke (Bloor St. W. and Windermere Ave.) today (Monday) and tomorrow (Tuesday) from 2 p.m. to 4 p.m. and 7 p.m. to 9 p.m. Rosary will be in the evening. The funeral will be held at All Saints Church (Eglinton Ave. W. and Royal York Rd.) at 12:30 p.m. on Wednesday, with burial to take place at Park Lawn Cemetery. Ted leaves his wife Christine and three children: Julie, Matthew and Michael. Microsoft has released the February 2008 Cumulative Update for Media Center for Windows Vista. This update rollup is intended for computers that are running Windows Vista Home Premium or Windows Vista Ultimate. Addresses an issue that is introduced in KB941229 in which the UI freezes and becomes unresponsive. 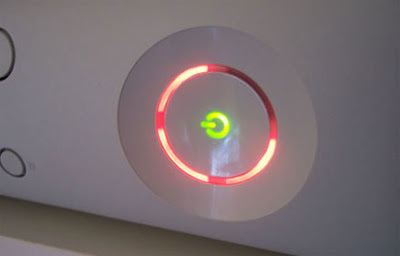 This issue occurs when you try to change the channels while you are watching live digital TV on Xbox 360. The Toronto Star had an interesting article today with regards to a developer going after a citizen's group for $3.6 million in costs at an Ontario Municipal Board hearing. The Ontario Municipal Board (OMB) is an independent, adjudicative tribunal that hears appeals and applications on land use disputes. When people can't resolve their differences on community planning issues, the Ontario Municipal Board provides a public forum for resolving disagreements. Members are appointed by the Ontario government to mediate and/or resolve these disputes under a variety of legislation. To sum up this article, essentially, the OMB has the power to award costs for what is typically considered 'patently unreasonable behaviour' during hearings. In this article, a $1 billion dollar resort development in Innisfil (Big Bay Point Resort) proposed by Kimvar Enterprises, a subsidiary of Markham-based Geranium Corporation, went to the OMB. In late December, Kimvar filed a motion for costs against the Innisfil District Association Inc (IDA), a ratepayers group that opposed the development, to the tune of $3.6 million due to the legal fees and consulting costs incurred during the four month long hearing. A written decision on both the actual hearing, and the motion for costs has not been delivered yet, but this threat of costs has already had an effect on other cases. The article goes on to describe another development in Hillsdale, a nearby community northwest of Innisfil, where there is a new proposal for a 473 home development by the Hillsdale Land Corporation, which incidentally is also a subsidary of Geranium Corporation. The Concerned Residents of Hillsdale (CROH), a citizens group against the development filed for party status at the OMB hearing. Upon hearing of Kimvar's motion for costs against the IDA, the CROH gave up its status as a party for fear that the similar motion for costs would be sought against them. Costs are usually only awarded for inappropriate behaviour at hearings. The OMB further states in its rules that "There must be no threats to potential appellants that costs will be requested. This could prevent opponents who have different but sincerely held opinions from exercising their right to appeal." However, the possibility of a $3.6 million cost claim is certainly enough to make people or groups re-consider opposing developments, which essentially flies against the face of democracy. The sheer number itself, many comment, is enough to intimidate, and we have already seen a victim of this with CROH. Did the IDA do anything wrong at the hearing, as Kimvar contends? Will the OMB award costs, and if they do, will that number be anywhere close to the $3.6 million? What will be the implications of such a cost award at future OMB hearings? Will the province get involved (or do they even need to)? Earlier this weekend, I read about a British farmer who built a castle on his property without the appropriate planning permissions. Apparently, this farmer, named Robert Fidler, kept this castle hidden from everybody by concealing it under hundreds of bales of straw for a period of four years. 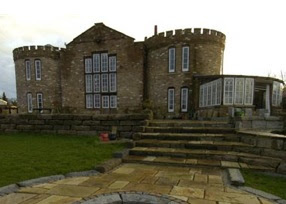 Upon revealing it to his neighbours in late 2006, he was served with a planning contravention notice in March 2007 that ordered the demolition of the castle. So what's the rub? This structure was built in the green belt that surrounds London. This green belt of open country and farmland is intended to contain urban sprawl, by containing development within it. As such, it is difficult to receive approval to build on greenbelt lands. A spokeswoman for the Religate Town Hall said the following with regards to this development. The site is located on the Green Belt and the developments constitute inappropriate development, which is harmful to the openness of the Green Belt. However, there is a provision in England that says that the building could stay if there are no complaints after four years. Fidler contends that because this castle has been there for the requisite four years, it should be allowed to remain in place. 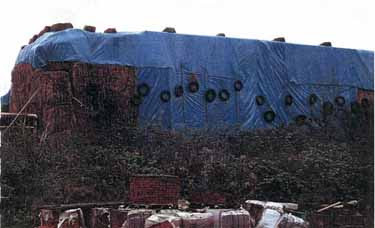 The local government is saying that since no one could see it while it was hidden, the four year count started when it was unveiled, so that the building is eligible for demolition. This past Wednesday, after a lengthy appeal, Fidler began protesting the notice at a public inquiry at Religate Town Hall. He is also reportedly standing up to the borough council on an enforcement notice for the building of a go-cart course on his land along with 12 other enforcement notices. I think this serves as a lesson to those who want to build buildings illegally, especially in areas where they are not permitted. There are reasons why structures like this are not permitted, and there is a process to follow if you do want to build something where it is not permitted. Trying to do something like this behind everyone's back isn't a wise thing to do, as people will eventually find out about it, and the outcome usually won't be a positive one. I wanted to point people to yet another useful Media Center-related article by Aaron Stebner, which is actually a follow-up post to an entry that was posted yesterday. Aaron looked at the startup code for Windows Media Center, and found that in addition to the Group Policy setting that was previously described, it is also possible for this error dialog to appear if Windows Media Center is marked as disabled in the Set Program Access and Computer Defaults control panel on Windows Vista. Note - you do not have to select the radio button to the left of the Windows Media Center to make it the default media player if you don't want to, but the Enable check box must be checked or Windows Media Center will refuse to launch on your system. For more technical details, see Aaron's blog posting titled, "How to re-enable Windows Media Center in the Default Programs control panel on Windows Vista Home Premium and Ultimate". During the past two weeks of play at the Australian Open, the Hawkeye system, which I have blogged about in the past, has been used for player challenges of line calls in both of the main arenas, Rod Laver Arena and Vodafone Arena. However, being an optical based technology, lighting conditions can throw off the system, and this happened to occur at Vodafone Arena, where the line calling device was being used for the first time in 2008 (the system was only available in Rod Laver Arena in 2007). It was discovered at Vodafone Arena that there was a period of 30 to 45 minutes when there is a large shadow that goes across the entire court when the roof is open. This shadow happened to disrupt the Hawkeye challenge system to a point where it cannot be guaranteeed the minimum accuracy requirements that the system is required to have. It was discovered that the nature and darkness of the shadow, coupled with the height of the roof at this arena that were contributing factors to this issue. "In light of the fact that Hawkeye cannot guarantee 100 percent accuracy, 100 percent of the time, we will not use the Hawkeye system during this time, at the Vodafone Arena. The players will be informed when Hawkeye is not working." Some players were unnerved by this development. Australian Peter Luczak said he noticed some problems during his second-round loss to David Nalbandian at Vodafone on Thursday. "He (Nalbandian) was getting a little bit frustrated because the Hawkeye wasn't in play for some reason. It doesn't work when the shadow is halfway across the court." Ana Ivanovic of Serbia was affected by it during her first-round win over Sonara Cirstea. "It's not unreasonable to expect that the technology works properly. When it breaks down it throws your concentration. My opponent was causing me enough problems without me worrying whether the device is working properly." Hopefully, this issue will be resolved for future events. So I have a weakness for giving up sleep to watch great tennis matches. It's the worse during the Australian Open, as there is a 16 hour time difference between Eastern Standard Time (UTC -5) and Eastern (Australia) Daylight Time (UTC +11). Last night, I was up until 5:15 am (EST) watching the Roger Federer/Janko Tipsaveric 3rd round men's singles match. By now, most people know the result (Federer won in an epic five set match, 6-7 (5/7) 7-6 (7/1) 5-7 6-1 10-8). Amazingly enough, this was suppose to be the last match of the 'day' session, with two more matches to follow in the 'night' session. When I woke up to get ready to go to work at 10:00 am (EST), there was still tennis going on. Turns out the first match, a women's single match between Venus Williams and Sania Mirza, went the full three sets, and the nightcap between Lleyton Hewitt and Marcos Baghdatis was only in the 3rd set. When all was said and done, play finally ended at about 4:30 am (Melbourne local time). Here I am thinking that the 1:30 am end to one of the US Open matches that I attended last September was late. I guess that thought goes out the window. Now the challenge is to get my sleep cycle back on track for work on Monday... woohoo! Air Canada has a new way to check in for their flights. You can now get your boarding pass for qualifying flights using your PDA (personal digital assistant, such as Blackberry or Treo) or cell phone. Our new boarding pass feature is an enhancement to our existing Mobile Check-in service. If your mobile device supports 2D barcode technology as most do, you will now receive two SMS text messages to confirm your check-in: one SMS text containing the details regarding your flight, and another SMS containing a link to a barcode image. For each flight checked in via your mobile device, you will receive these two SMS text messages. If your itinerary does not qualify, you can still use Mobile Check-in service and print out your boarding pass at a kiosk or with an agent. When using your mobile device, the access to log on remains the same mobile.aircanada.com. For more information, check out Air Canada's Mobile Check-in webpage. Fellow Media Center MVP Chris Lanier reports that DVD streaming will officially be added to Media Center in the near future. According to our own TGB @ CES blogger Jerold, Media Center is officially getting DVD Streaming support. Not only that, everyone’s favorite pink haired Media Center employee (Jessica Z) has seen it in action. Jerold couldn’t squeeze a timeline out of Jessica, but he wonders if it will be a part of Fiji. This has been a feature that many Media Center users have been waiting for. For those of you who don't know what this feature is, essentially, this would allow the viewing of a DVD (or potentially one of the High-Def DVD formats) loaded into a reader drive on the Media Center computer on an Extender. While it likely wouldn't be too difficult to implement from a technical standpoint, there are other reasons why this hasn't been done yet (i.e. legal reasons). If and when this feature is added, it should definitely help with the adoption of Media Center by the masses. Coupled with the newly released v2 Media Center Extenders, physical media should no longer be a limitation to enjoying these multimedia experiences within one's connected home. It is features like this that will help make Bill Gates' 'Next Digital Decade' vision a reality. On DVD streaming: I think what I said here was that there is a compelling "soccer mom" scenario. As a mother, I know first-hand how many DVDs get scratched, lost, or damaged by my children. I'd love to throw all my DVDs into a changer and remote them to wherever in my house. However, we haven't announced this as a feature included in any future release. We play with all kinds of ideas - we're software developers, after all, we have to prototype things! - but whether and how they make it into our products is another story. Raise your hands if you remember this one! This three minute bit is something that most children from my generation in Canada will remember. Great time filler material between tv shows.